Beverly Hills and Bel Air are two of the most exclusive residential areas in Los Angeles and they’re right next to each other. Tourists visit to see how the rich and famous live with their enormous homes, luxury shops and fancy cars. One of the biggest activities here is driving around looking at the houses. You can pick up “star maps” in gift shops and from street sellers that point out the location of the famous people’s houses. Just a word of warning though, don’t take them too seriously as some are very out of date and in most cases, you just get to see the gates to the houses and nothing much more. 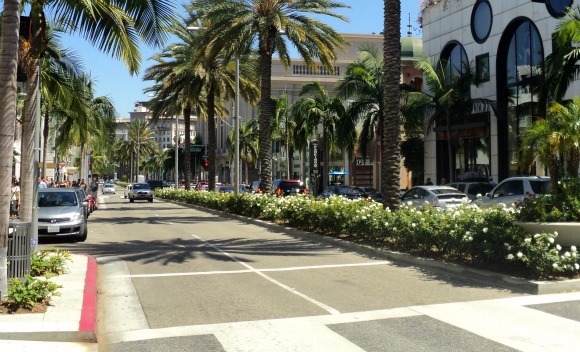 There are plenty of other sights to see too including Rodeo Drive with its exclusive shops (pictured below). 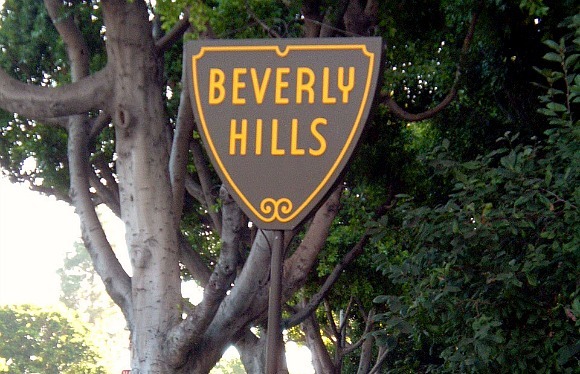 Beverly Hills established itself as the place where stars and the wealthy had their homes back in the heyday of Hollywood and the amenities that exist there were built to support the kind of people likely to be using them. That’s why Rodeo Drive became the place to go for expensive goods. Bel Air was very much an extension of the housing side of Beverly Hills and as such, the houses are often bigger and more luxurious, but it does not have the same landmarks and amenities. 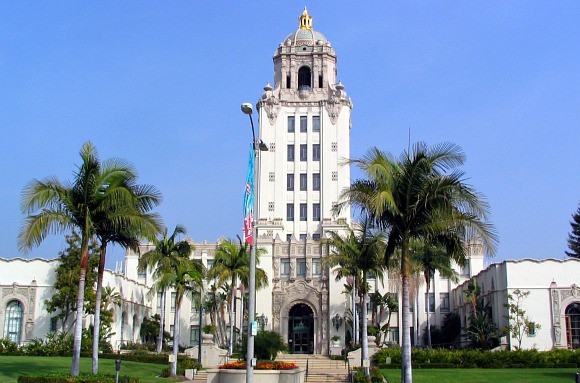 Other significant buildings you should look out for in this area are Beverly Hills City Hall which doubled as the police station in “Beverly Hills Cop” (pictured below) and the Witches House – a ramshackle style story-book home which is actually called Spadena House. It’s located on the corner of Walden Drive and Carmelita. Beverly Hills & Bel Air are next to each other northwest of downtown Los Angeles. The map below shows the location of Beverly Hills City Hall, but you can move it around to see the whole area.